Express your feelings in print with Printvenue, India’s largest online portal for printing solutions and personalized gifts. At Printvenue, you will get a plethora of products like t-shirts, mugs, corporate stationery, business cards, mobile cases, tech accessories, kitchen ware, home décor, gift items and other fun stuff personalized with unique prints. And with Zingoy, grab all the amazing deals of Printvenue and earn big cashbacks on all Printvenue products. 100% Original & Authentic Products. Available In Various Size, Designs & Colors. Easy Return & Replacement Available. All Payments Modes Accepted. Coupon Code:PRINT40. Hassle Free Shipping. 100% Original & Authentic Products. Available In Various Size, Designs & Colors. Easy Return & Replacement Available. All Payments Modes Accepted. Coupon Code: PRINT30. Hassle Free Shipping. Buy Mobile Cases From Printvenue and Get amazing Discount. Covers Available Of All Brands Like Vivo, Oppo, Samsung, Nokia, Micromax And More....100% Original & Good Quality Products. Use Coupon Code: PRINT30. Offer Ends Soon. Want a custom-made card holder, custom polo, business card, keychain or t-shirt? Printvenue is the best provider of these products. Besides that, it gives you a chance to save money with amazing Printevenue offers and coupons whenever you place orders for these products. Adding a cherry on top is Zingoy, where you can grab amazing Printvenue offers over on Zingoy and save more on your expenditure. 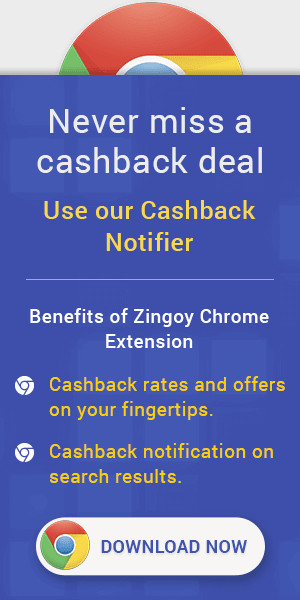 Zingoy comes second to no other company when it comes to cashback offers. How to Save More on Regular Printvenue offers? It’s simple. Just join Zingoy and start shopping using links given on this page. Just click the ‘Shop & Earn’ buttons given next to the coupons and offers given on this page and buy what you want from Printvenue and you will get to enjoy Printvenue cashback offers from Zingoy. Additionally, Zingoy also brings you cashback offers on other’s shopping. Just make your own Zingoy shopping links of Printvenue and share them with your friends and family. What Can You Do with the Printvenue Cashback Offers You Earn on Zingoy? After buying your Printvenue print products via Zingoy, your cashback will be credited in your Zingoy account after 72hours. Once validated, you can do a couple of things with your earnings. For instance, you can buy vouchers or transfer them to your bank account. You have the freedom to choose whatever you want to do with what you earn because it is your money. Just imagine how much you’ll earn if all your purchases of customized print products are made on Zingoy. You’ll, indeed, save a lot and earn as well.